Ed Halter, one of the founders and directors of Light Industry in Brooklyn, teaches in the Department of Film and Electronic Arts at Bard College, in Annandale-on-Hudson, New York, and has recently organized film programs for Artists Space in SoHo and for MoMA PS1’s quinquennial survey “Greater New York,” which remains on view through October 18. 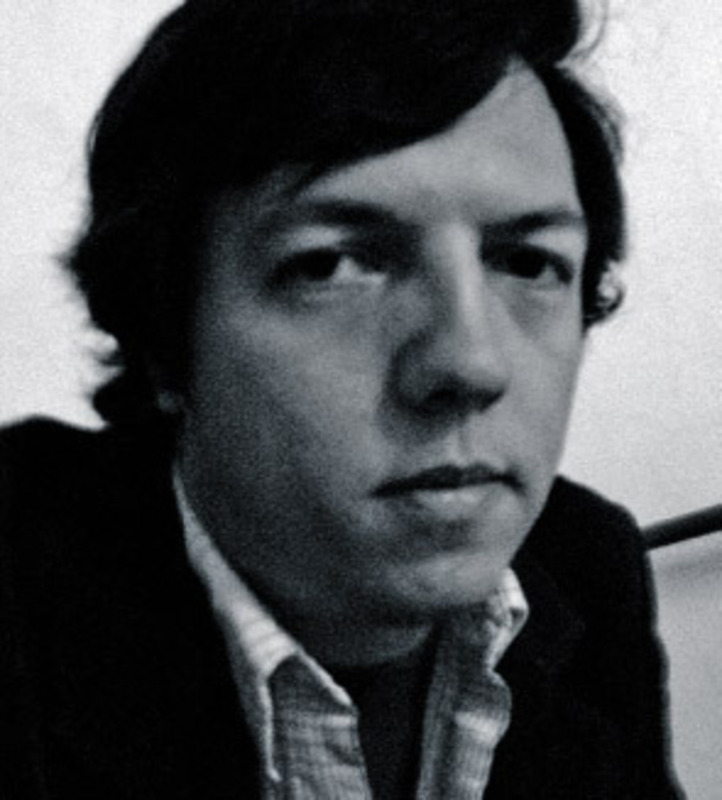 His writing has appeared in numerous publications, including Afterall, The Believer, Rhizome, and the Village Voice, and he is currently working on a critical history of contemporary experimental cinema, supported by a Creative Capital | Warhol Foundation Arts Writers Grant. Rarely seen since its initial broadcast, Fassbinder’s two-part made-for-TV science-fiction movie resurfaced in a new 35-mm print this year. Like a missing link between Jean-Luc Godard’s Alphaville and William Gibson’s Neuromancer, World on a Wire envisions a cybernetic future of computer-based simulated reality by deploying the most self-consciously ultramodern elements of 1970s Europeglobular plastic luxe decor, hedonistic pleasure parties, silver reflective surfaces, and ubiquitous video screens. Though the film works gorgeously in the cinema, one can’t help but note that Fassbinder clearly conceived this work for the small screen; as a Nam June Paik–era dissertation,World uses a digital scenario to contemplate the equally virtual but analog world of television. Rainer Werner Fassbinder, Welt am Draht (World on a Wire), 1973. Excerpt. Installed for nearly a year at Coney Island’s historical museum, Beloff’s canny exhibition detailed the history of a little-known New York club through a variety of ephemera: Hand-drawn diagrams and a scale model detailed its founder’s plans to erect a pavilion of amusements based on Freud’s diagram of the psyche (linked by a mechanized “Train of Thought”); 16-mm films realized by members as part of club activities re-created specific dreams. Given Beloff’s practice of working with imagined histories, some visitors may have doubted the society’s very existencebut even had this been the case, such a spirit of flimflam couldn’t have been more appropriate to the site. 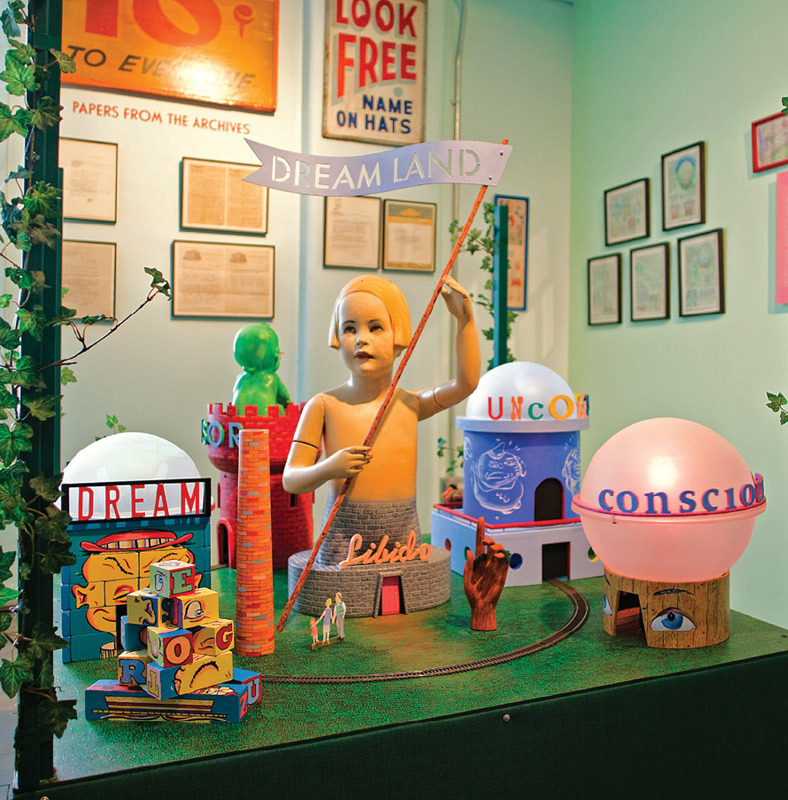 View of Zoe Beloff, “Dreamland: The Coney Island Amateur Psychoanalytic Society and Its Circle, 1926–1972,” 2009, Coney Island Museum, New York. Photo: Brad Paris. An intense conjunction of joy and melancholy, this novel by Paris-based expat Taïa tells of his coming-of-age in Morocco within the milieu of a close-knit, working-class family, centering on his unrequited sexual obsession with an older brother. Redolent with the atmospheres of his home, thick with a tangle of emotions, Salvation Army is unexpectedly subtle in its transgressions but nonetheless committed to the liberatory powers of unfettered autobiography. Notoriously unprolific, Chiang has published only twelve, tightly wound works of speculative fiction since his debut in 1990 with “Tower of Babylon.” That story, which posits a world in which Old Testament cosmology is scientific fact, is included in this collection along with the majority of Chiang’s subsequent pieces. Each explores the ramifications of a certain what-if twist with ingenious narrative precision and heady philosophical import, such as a genetic fix that removes the ability to see physical beauty, or the hermeneutic endeavors of scientists after the Singularity, when computers surpass human thought. One of the revelations at the 2010 Rotterdam Film Festival was this twenty-two-minute experimental documentary by a young Ghanaian-American artist. 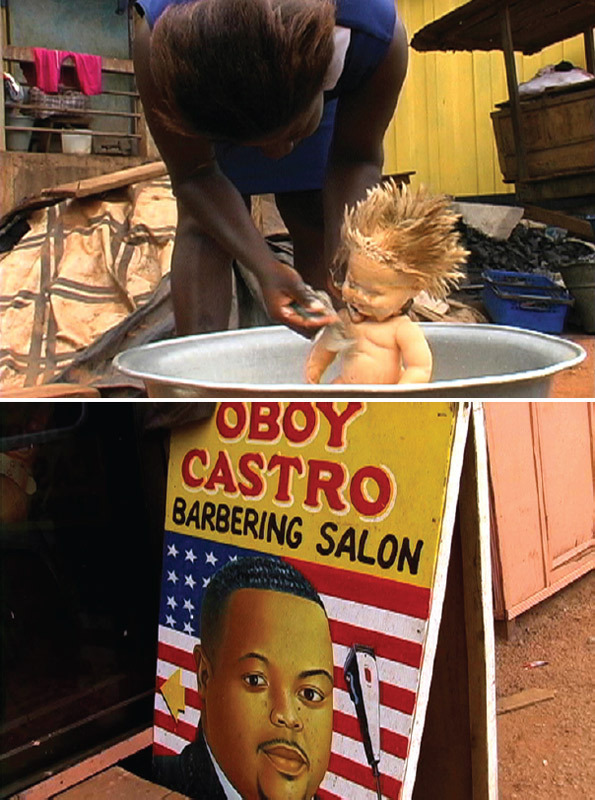 Shooting on 16 mm and video, Owusu begins with a portrait of hairdressing salons in Accra, weaves in audio from Oprah Winfrey’s mission to distribute black dolls in Africa, and then transitions to her sister’s story of encountering white children for the first time after their family moved to the US. The final sequence, a slo-mo hair-flip set to a rendition of “This Land Is Your Land” by Sharon Jones and the Dap-Kings, tops off the critique with a moment of absolute exhilaration. Akosua Adoma Owusu, Me broni ba (My White Baby), 2009, stills from a black-and-white and color film in 16 mm and DV, 22 minutes. Rereleased theatrically by micro-distributor the Film Desk earlier this year and soon to be made available for the first time on DVD, Sontag’s only documentary, shot in Israel during the Yom Kippur War, is arguably her finest film. It bears a dense sound design (doubtless influenced by avant-garde filmmaking) and a multitude of observational subtleties. Ahead of its time in both its form as visual essay and its implicit questioning of Israeli-Palestinian relations, it feels uneasily contemporarypolitically, at least, a testament to how little has changed. 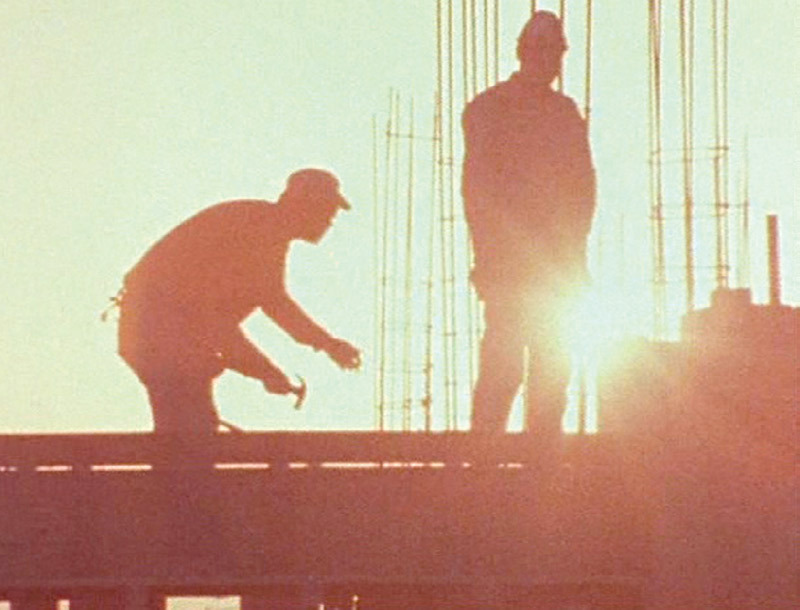 Susan Sontag, Promised Lands, 1974, still from a color film in 35 mm, 87 minutes. What Funcke calls “a stubborn attempt to join philosophy and art history,” Pop or Populus is a necessary rejoinder to the accepted cliché that the 1960s engendered a collapse of high and low. Even if the content has blurred, Funcke counters, the essential structure remains. She explores numerous implications of her thesis that today’s art continues to operate in a complex negotiation between its status as high culture and its abiding fascination withbut functional separation fromtrue popular culture. Cactus is the Internet handle of Swedish experimental game maker Jonatan Söderström, who delights in producing all manner of low-res titles drawing on forms long abandoned by console-based designers. 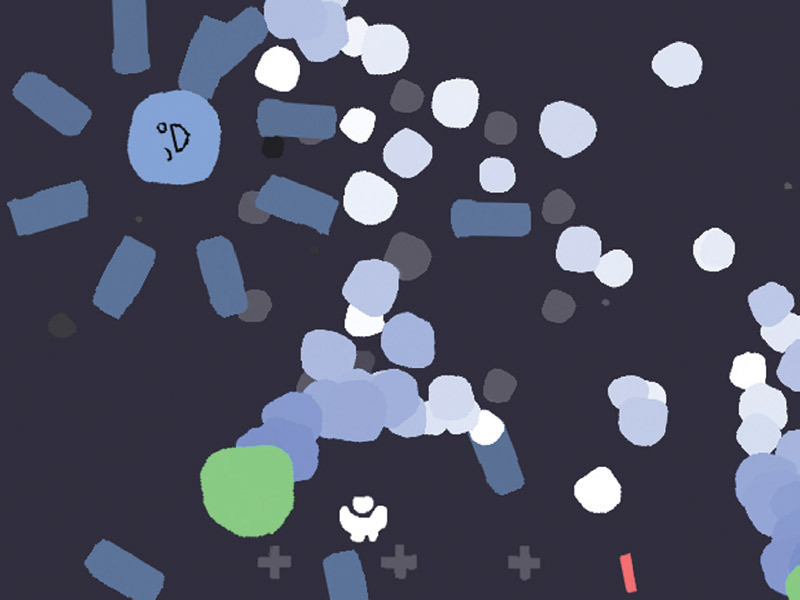 Wildly inventive despite their constraints, Söderström’s games range from the twitchy psychedelic shoot-’em-up Ad Nauseam 2 (2008) to the contemplative metanarrative side-scroller Psychosomnium (2008) to Norrland (2010), an ultraviolent variant of The Oregon Trail set in the rednecky Scandinavian hinterlands. Screen capture from Jonatan Söderström’s video game, Ad Nauseam 2, 2008. Nothing less than a Borgesian police procedural, Miéville’s novel is set in two cities conjoined by a strictly codified but largely nongeographic border: Residents of each willfully disbelieve that they can see the other metropolis. For the book’s gumshoe protagonist, navigating this cumbersome but ingrained practice proves central to solving a series of murders; as a result, the narrative becomes a weird Situationist mirror to the convoluted psychology of real urban spaces.